Do you, or someone you know suffer from a nut allergy? With the rise of food allergies today, it’s easy for people to become numb to the very real dangers associated with them. For most, the only safe options are avoidance and epinephrine shots, and sadly, there are several reported cases of deaths after epinephrine was administered. A very real, very scary reality for parents of allergy sufferers. 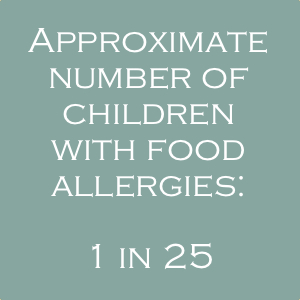 According to a 2010 study in the journal Pediatrics, 8% of children younger than 18 in the United States have at least one food allergy. Among those with food allergies, about 39% had a history of severe reaction, and 30% were allergic to multiple foods. Peanut allergy is the most common food allergy, followed by milk and shellfish. In fact, according to the Centers for Disease Control and Prevention, more than 90% of allergic reactions come from just eight foods: milk, eggs, peanuts, tree nuts, fish, shellfish, soy and wheat. Recently we were contacted by a health author about the risks of traveling for those who suffer from peanut allergies. It’s something we don’t personally deal with around here, but we have friends who’s kiddos are nut allergic. It’s something they have to remain ever-vigilant about, protecting their children from exposure to such a commonly used ingredient. I often think about them when I’m on a flight and the airline passes out nut snacks. So what do you do if you travel and you suffer an allergy attack? Ella Moss and Bill Johnson have some tips for you to consider. Ella Moss is a health and addiction writer who works for a number of consumer advice sites. She paired up with Bill Johnson, a finance writer and expert for a leading consumer advice portal, to produce a guide for travelers with nut allergies looking to travel safely, with adequate insurance cover. It’s often surprising to those who don’t suffer from an allergy how difficult some seemingly simple day to day situations can be. Hopefully this guide will bring you up to speed. The article is published in the UK but definitely has relevance to us here in the US. Please share your stories with us about how you stay safe during your travels! 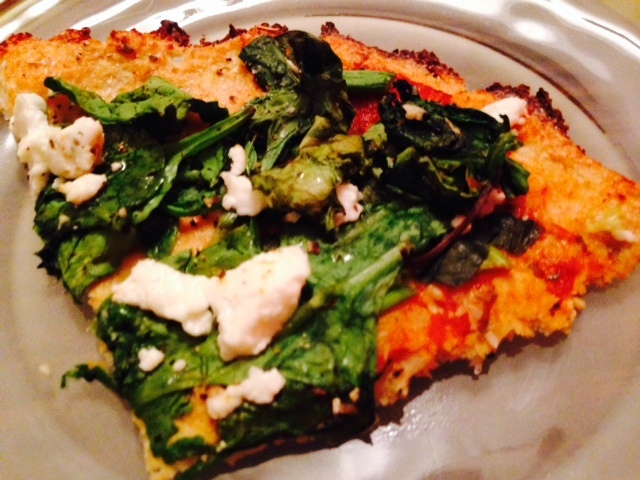 Most of the time being gluten-free is relatively easy for me. I’ve been GF for almost 5 years now, and cut out my gluten cross-reactive foods more than 4 years ago, so I’d say I’m pretty good at navigating a safe gluten-free course every day. But since I’m a girl who likes to eat out, and am raising a gluten-free son who enjoys all the amazing foods Austin has to offer, I find myself eating out quite a bit. One day while at dinner I was a little taken aback by what the waiter said when I asked about safe gluten-free options, so I started keeping a mental checklist of the really interesting comments I’ve heard. Since it’s a mental checklist these are a bit paraphrased, but you’ll get the idea. And for the record, I am super grateful for all the options we have when eating out and am not making fun of the effort anyone puts forth in providing us options (just trying to make light of a massive lifestyle change). So there, my disclaimer is out of the way, and on to my fave comments. 1. Aren’t you worried that you’re missing out on all the nutrients that pasta and bread give you? 2. Aren’t you tired all the time from not eating carbs? 3. What do you EAT?? 4. You know that it’s not normal for your body to be allergic to food right? I mean, it’s nourishment. 5. Yes, we have a gluten-freeish menu, but we’re not a gluten-free kitchen so if you’re going to die from a little crumbs I wouldn’t eat here. 6. No, we can’t help you. We offer nothing gluten-free. This place is packed with gluten. Yep, life is much more interesting when living it gluten-free. What are some of your favorite stories about being gluten-free? « If you live to Pin, Tweet and Post, we want to hear from you! A big thanks to the team at Healthline for sharing this article with our readers! They share our belief in the dangers of food allergies, and are urging readers to take food allergies and sensitivities seriously. We couldn’t agree more, and appreciate their taking the time to help spread the word so we can live healthier lives with a greater awareness and more tolerance thanks to the benefit of food allergy awareness. As many as eight percent of children below the age of five and up to four percent of adults are thought to be affected by allergies to food; there is no cure but some children outgrow such allergies. 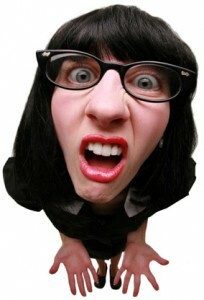 It is easy to confuse an allergy to a food with intolerance to a food. Intolerance is not as severe and does not include the immune system. Coma or even death can result when emergency treatment is not received for anaphylaxis. An allergic reaction resulting itching or tingling in the mouth can result from some nuts, vegetables and fresh fruits in those that have hay fever. Throat swelling or anaphylaxis can result from the oral allergy syndrome. The protein in the pollens that cause the allergy is similar to the fruit protein, which causes the reaction. Symptoms that appear shortly after you have eaten means that you should go see an allergist or a doctor. It will be easier to get a diagnosis if you can make the visit during the reaction. Emergency treatment is necessary if you have any of the symptoms associated with anaphylaxis. The chemicals will result in the symptoms of the allergy and cause allergic responses. The responses include dry throat, hives, rashes, diarrhea, labored breathing, dripping nose or anaphylactic shock. This means that it is critical that you do not continue eating foods that result in food allergies. It could save your life if you treat them instead of ignoring them. About our author: Tammy Mahan has 20 years of experience in the healthcare field. She is also a freelance writer and often shares her knowledge on Healthline.com . Is a gluten-free label enough to protect us? Today I ran across an article on a retailer roundtable site that I follow so I can keep up with the trends on gluten0free labels, products, what consumers are interested in, etc so that we can be on the lookout for products to stock in our online shop. And while I don’t always agree with what’s trending, this particular article resonated with me. It was called Retailer Roundtable: What standards do you look for in gluten-free products? Now this definitely piques my interest; I’ve written many times about the dangers of relying on gluten-free labels, and I’m a big advocate for making sure you all know to read every label, regardless of whether it says it’s gluten free. Even to the point of being weary of those stating they are Certified Gluten-free due to the risk of cross contamination if the equipment used is also used for gluten-containing products. Imagine your certified gluten-free crackers running across a conveyor belt that was just processing a stack of Cheezits for example. It’s safe to imagine that some of those buttery, cheesy crackers have flaked off leaving an ever so slight trail of gluten in it’s path. And then your gluten0free crackers come along, making their way down that same belt headed for their own packaging, potentially taking some of those gluten flakes with them. 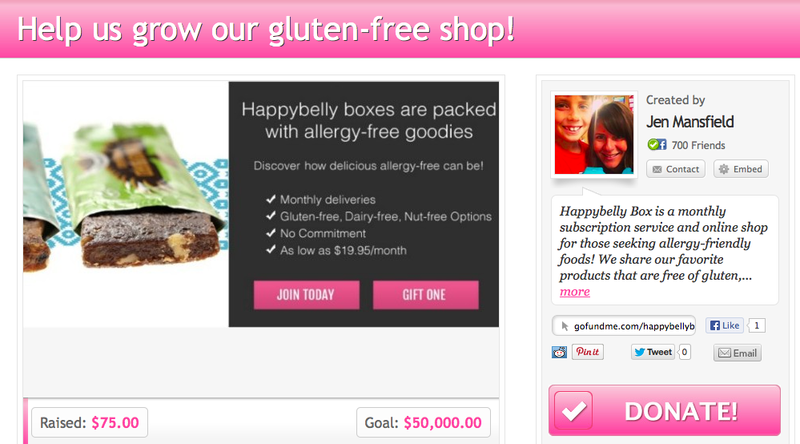 I’ve been avoiding products that state they were made on equipment which also processes gluten-ful foods, just in case. The big question will be whether gluten still shows up in my blood work since avoiding cross contamination foods. I’ve been gluten-free for 5 years now, and so diligent about my food choices, yet gluten is still showing up in my lab work which made me wonder about the risk of cords contamination, so I decided to be one of those folks who goes the extra mile to make sure I’m safe. So I was definitely excited when I saw these comments on a site I follow and realized that there is a growing trend of awareness to the importance of being super diligent about label reading to make sure those of us with a gluten sensitivity or Celiac disease are safe. It’s quite simple really; we eat gluten, we get sick, we feel like crap for days, hovering near the bathroom, head pounding, foggy brain, missed days of work, school, etc. Or worse, you end up in the hospital. Quite simply, it’s worth making sure you’re safe. Here are just a few of the quotes from the article I’ve mentioned, and you can read the full post here. A gluten-free certification is the first thing we look for, but even that isn’t a 100 percent guarantee that a product is gluten free. Now where we’re getting sucker punched are products that have the GF seal but the fine print says ‘made on equipment that processes wheat.’ We encourage our customers with hypersensitivities to be vigilant about reading labels. I think too many people are on gluten-free diets because they think they are eating very healthfully, although that isn’t always the case. The term gluten free is stamped on so many products today, and it simply helps brands market products. I stock what my customers ask for, but if I have the choice, I look for natural, raw and low-sugar gluten-free foods. -Karri Short, owner and manager of Natural Planet in Kingman, Ariz.
We couldn’t agree more with Karri. In fact, if you’re looking for raw, vegan, gluten free, paleo and healthy food options you can head over to our online shop to browse our favorites! 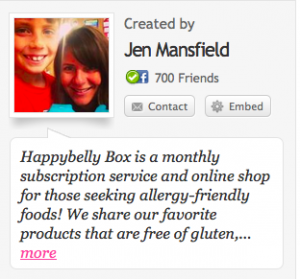 Welcome to the NEW food allergy advice column, Get “Schooled” on Food Allergies with PTO Mom! Candy Richards shares some tips on how to make sure your child is safe in school as enrollments for the next school year are in full swing. It’s that time of year again! It’s time to call your school to schedule a meeting to discuss the accommodations for your child with food allergies. You should discuss with the school nurse what options you have regarding different food allergy management plans. (This plan should be part of the Individualized HealthCare Plan (IHP) and Emergency Care Plan (ECP)) developed by a student’s doctor and family. It outlines the proper procedures and should be signed by the student’s allergist, family doctor or certified registered nurse. This plan should include some information such as the student’s date of food allergy diagnosis, specific medical orders and emergency contact information. Emergency Care Plan (ECP) (This plan is based on the information provided in the student’s Individualized Health Care Plan (IHP) and describes how to recognize a food allergy. -usually coordinated byt the school nurse and should be distributed to all school staff who have responsibility for the student. -provides written directions for school health personnel to follow in meeting the individual student’s healthcare needs. While parental/guardian involvement is not required, I recommend you are involved as much as you feel necessary. Section 504 of the Rehabilitation Act of 1973, to protect those with “disabilities” from discrimination. These plans can be used when schools are receiving federal funding. If you do not know where to start, contact you child’s school now to get the process going for next school year. Good luck! 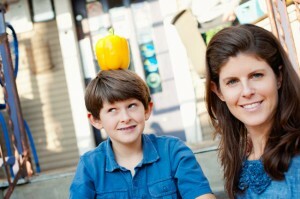 Guest writer Margaret Conner of The Wellness Pantry shares her story of their third grade son going gluten-free. I just love how mature he is about his journey and why he’s happy to be allergy-free. It sounds a lot like my little guy too! So read on to see what it’s like to live gluten and dairy free, straight from a 3rd graders mouth! The Truth about Going Gluten-free, in the 3rd grade. Yep, we are taking you behind the scenes and heading to the source: the gluten-free 3rd grader. Since I often get asked by clients what it’s like to transition your kid to a gluten-free diet, I decided to interview my son a year or so after he’d gone gluten-free in the 3rd grade. 1. What was it like to switch to a gluten-free diet? Was it hard to change what you ate? Well it was hard at first with my sister in front of me eating stuff I couldn’t. It takes some getting used to, I think the worst part was that I had already tasted the Ice cream and the Pizza. Our house is gluten-free and pretty much dairy-free so its easier to not feel bad about missing gluten if I’m at home. Though it also took some time and they developed more food that was gluten-free my mom found a lot of it. So now it’s a lot easier because I can get my gluten-free pizza and etc., though I still want some gluten once in a while. 2. What is it like at school and around your friends when you may not eat the same sorts of food they do? Well it was really similar to my family, it took some getting used to. It started out terrible with all my best best friends eating not gluten-free things and then you’ve got to tell them. Thinking they’ll think you’re some weirdo. It’s very tempting to not mention it and eat all gluten things, but it actually went down well with my friends instead of thinking that I’m a weirdo they actually had sympathy that I became gluten-free. 3. What are some of the things that have made you stick to eating this way? 4. What are some of your favorite things to eat now? Usually types of meat and fruits + vegetables. I also like these special chicken fingers but if you look around in small special sections in grocery stores you may find some good things. 5. Is it hard to stick to eating this way? Why or why not? Well it usually is kind of difficult but most of the time it depends more on where you’re eating and the options. If I eat at my house it is really good because my mom has all these good healthy gluten-free + diary free* foods and she will cook them and serve them very fresh as opposed to a fast food place where really all I can have is a burger no bun and maybe fries witch is not at all fresh nor healthy and you really get sick of having it after a while. 6. What advice would you give to other kids who are changing to a gluten-free diet? Is there anything that might make it easier for them to make the change? There is a lot of advice I could give them but I’ll start with something that’s very important witch is you have got to hang on, you have got to listen and take it seriously, you have to wait a year with the diet because trust me it will get better. 7. Did you notice any changes with your body or your behavior when you changed how you ate? What changed? Yes, I did. I got a lot happier because I had no more problems with my stomach. My math brain also got faster and it took a lot more to get me angry. So there you have it, the straight dope. There are a lot of good tips and tricks for getting your kids gluten-free in a painless way. I’ve done it for my own kids and now countless other families. 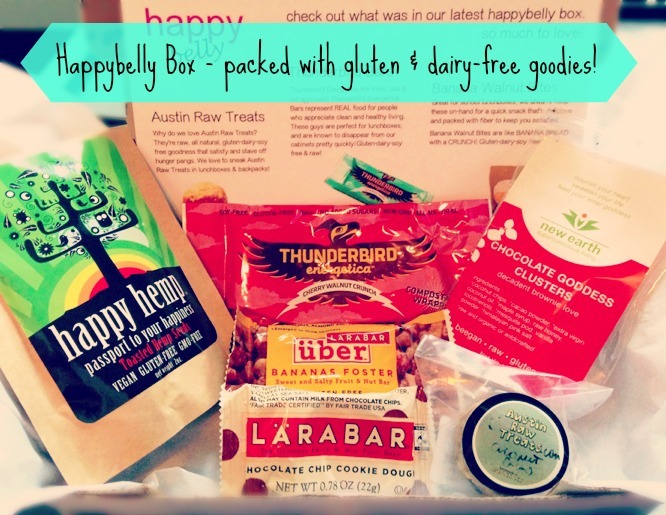 For starters, here are a few of the more popular gluten-free treats my clients like (treats are a biggie for kids changing to a GF diet and nice to have on hand for birthday parties, etc.) and a basic recipe or two to get your started. You can learn more about how the Wellness Pantry can help you by visiting her site here. Unfortunately, children who have food allergies are often excluded from school events that have to do with food. Sometimes the teachers don’t think to ask if the food is safe for everyone in the classroom while planning the event or the PTO/PTA don’t think to accomodate everyone. This tends to happen a lot and unfortunately, most of the time, we cant do anything about it. Q: “When my son started 1 st grade, he was constantly coming home crying because he was left out of a classmates birthday party celebration with the class. He brought in cookies that wasn’t safe for my son. I felt so bad listening to him tell me about how everyone ate them in front of him and he just sat there with his hands in his pockets because the teacher told him to do that for his safety. I wanted to scream. How do you help your child feel included in things you have no control over?” –Jamie T.
A: I completely understand how you and your child may feel right now. Have you tried to talk with your child’s teacher about a “safe snack bag” to be kept in the classroom for situations such as this one? I would try that first. Explain to the teacher that you do not want your child excluded from the celebration. Provide a travel size package of “wet one” wipes to clean your child’s area after the celebration is over so he doesn’t come in contact with any of the allergens. Making the child put his hands in his pocket while the celebration is going on may calm the teacher’s nerves but it will make the child feel as though they are being punished for having a condition they cannot control. Q: “My daughter is allergic to peanuts, strawberries and milk. 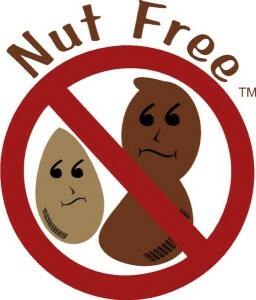 To ask for a nut-free classroom would be pointless,a s she has multiple food allergies. How do I make sure she is not excluded from school events when food is involved when the food is constantly entering the classroom? – Matthew M.
A: In situations where a child has multiple food allergies, I always suggest if it is possible to make the classroom food-free. Ask if during celebrations, they can encourage non-food related activities and items (ex: stickers, face paintings, crayons, etc). If it is possible to make the classroom food-free that would have the best outcome. If that is not an option, or the school doesn’t want to do that route, try to be as involved in the classroom events as possible. Volunteer to be “classroom dad” and volunteer during occasions when you know that there will be a celebration (ex: Halloween, Valentine’s day, etc). I also advise that you provide the classroom with some safe snacks to keep in the teachers desk in the event that someone brings something in that is not safe for your daughter. Q: My son was recently excluded from a school event for “his own safety”. They had a birthday celebration in the classroom with cupcakes. He is allergic to milk, eggs and wheat. Because of these being in the cupcakes, and him being in contact with them, the teacher sent him to the office to give the secretary some papers. (This was merely an excuse to get him out of the classroom.) The teacher later told me why he did that. What should I do so my son doesn’t feel left out?- Kathy J. A: When teachers purposely exclude a child for “his own safety” is not only completely wrong but it hurts the child more than they realize. Unfortunately, this will happen from time to time because some people just don’t understand how to work with the condition instead of against it. I would definitely talk to the teacher, one on one, and discuss your concerns with how he handled the situation so it doesn’t keep happening. Put a plan in place that you both can work with so your child can be in the classroom during these special occasions. Try to give as many suggestions to the teacher as possible to help the teacher understand the allergy and how to handle situations like this. Good Luck! A: You sound like you are speaking about my son and me, lol. Let me first say that I am extremely touched that you would even try to understand and go out of your way to help this boy feel included because you, yourself, are not a food allergy parent. It is admirable of you to try to educate yourself on this, so I thank you on behalf of all of us food allergies parents. As for making sure he is included, I would first develop a list of “safe” snacks, candies and foods that are 100% safe for nut allergy sufferers. If you do not know where to start, ask his mother. I am sure she would be touched to know you care enough to ask and will be willing to help so her child is safe. Once you have a list of safe foods, try to provide everyone that is involved in the planning of PTA events with a copy. This will help with the communication on the proper foods. When planning events, do your best to plan non-food related activities. This will keep everyone’s mind at ease. Remember though, some non-food items contain nuts (ex: lotions, soaps, bird seed, etc) so please always check ingredients. The question below is quite offensive but I felt it needed to be added to see how some parents react to the accommodations of children with food allergies to keep them from being excluded. Q: “Please do not be offended at my next statement but why should I go out of my way to provide accommodations to a child with food allergies? I understand it is serious but if we have to accommodate for them then they are getting special treatment. Shouldn’t they just deal with it and work around it? I don’t mean to be hostile but I don’t feel like I should have to go out of my way and go to a thousand stores to find “safe” foods when the parents of the food allergy kid can provide them for their child and I can buy what I want to for the classroom party.” – Debbie K.
A: I understand your frustration however this is not about accommodating a food choice like being vegan. This is about accommodating a child’s life threatening condition to which they have no control over. Providing a safe alternative is something most food allergy parents do, for the safety of the child, however it means the world to the parents and the child when people care enough about that child’s life to make sure there is no chance that child could die from a “birthday celebration” of their classmate. Here is a suggestion for you to accommodate a child with food allergies; send in non-food products for the celebration and leave the cupcakes at home to be celebrated with the family or send in stickers, pencils, crayons etc; all of which can be bought at the dollar store. If you have to send food, because your child really wants to do that for their special day, I understand that. In that case, maybe ask the teacher if there are snacks, that they know of, that are definitely safe. Give them a few days in advance, so they can ask the food allergy parents for a safe food idea, or to provide them with time to provide their child with a safe alternative so you can buy whatever you want. In the end, it is about the happiness and SAFETY of the students so please be understanding that this is not a life choice; it is a life threatening condition. Thank you all for you questions! « Non-toxic, allergy-free Easter egg dyes keep Easter safe and fun!